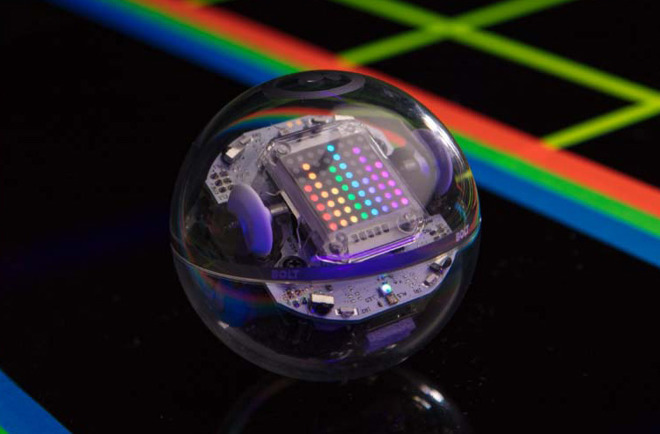 Sphero on Monday launched its latest programmable robot, the Bolt, characterized mainly by a translucent, waterproof design and an 8-by-8 LED display. The screen can be programmed to display animations and real-time data, such as a winking face or the next direction the robot is taking. Partly to accommodate this technology the Bolt is one of the company's largest products so far. Other advancements include a built-in compass, infrared sensors for new movement options and Bolt-to-Bolt interactions, and an ambient light sensor, which can be incorporated into programming. It also has a 100-foot Bluetooth range, and battery life topping 2 hours. A charging cradle comes bundled. A single Bolt costs $149.99. Schools have access to two bulk options: a $1,949.99 15-pack, and a $2,499.99 "Power Pack" that also has 15 robots but adds a charging case. Earlier this year Sphero cut 45 jobs and switched its focus to the educational market in the wake of poor holiday sales. 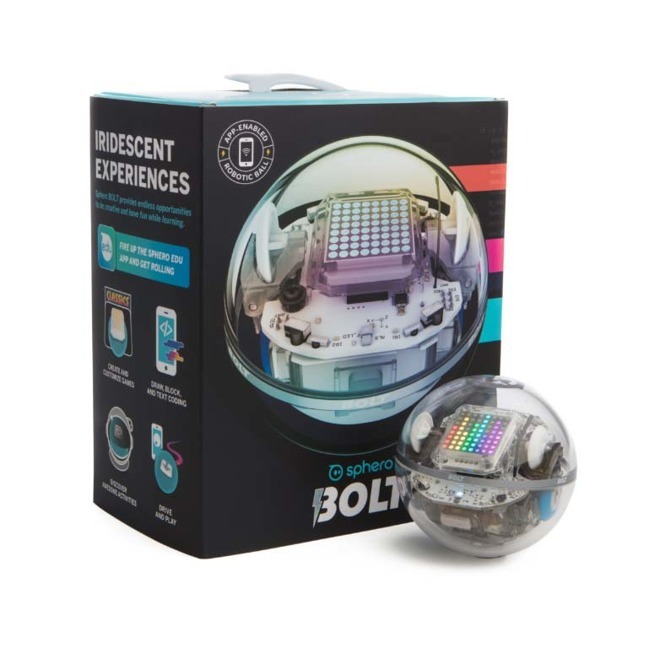 The Bolt is available from Sphero directly for $149.99 with free shipping within the contiguous U.S.